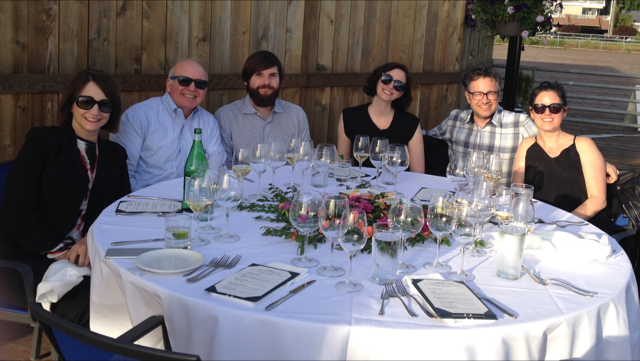 This past weekend we had the pleasure of hosting the winners of our FareStart live auction item! They were treated to a custom Copper River King Salmon menu from Executive Chef Paul Duncan, with wine pairings by our Wine Director Chip Croteau. They enjoyed a sunny dinner on the deck of our first floor Boathouse during the opening weekend of Copper River! Now all of our guests can enjoy this menu and help support FareStart! Today through June 4, 2017 order our 3-Course Copper River menu for $85 in the first floor Boathouse, and Ray’s will donate proceeds to FareStart to help fund its vital job training programs. Please note the menu content and price may change based on availability. Reserve your table in the Boathouse online or call 206.789.3770 today!